PROTECT yourself, protect your community’ is the message being promoted to everyone eligible to receive a free flu vaccine this year. 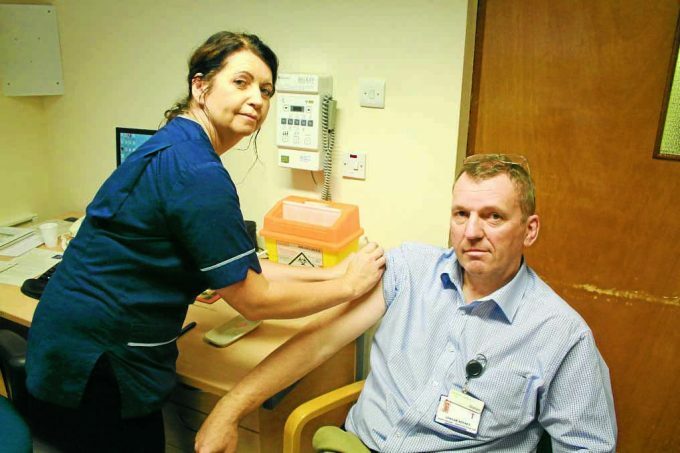 Health staff in Dumfries and Galloway have been taking up the offer of vaccinations in large numbers. And members of the public are being asked to do their part to help ensure the best possible level of protection. In the video Mr Abrines is seen speaking to specialist practitioner in occupational health Bev Farish before receiving his vaccination.